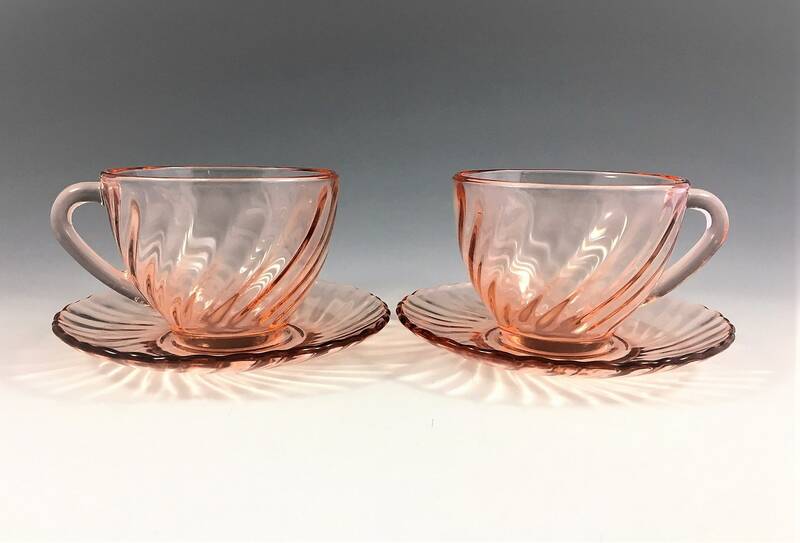 Featured is a beautiful pair of vintage Rosaline pink swirl Arcoroc Durand Cups & Saucers. 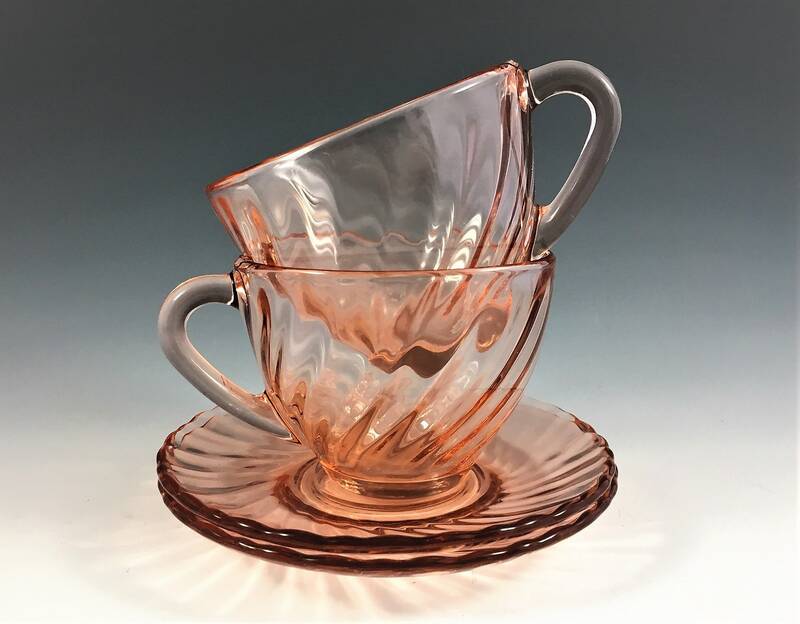 This pattern is called Rosaline and was made in the 1980's, it is a copy of the Swirl Depression Glass from the 1930's. 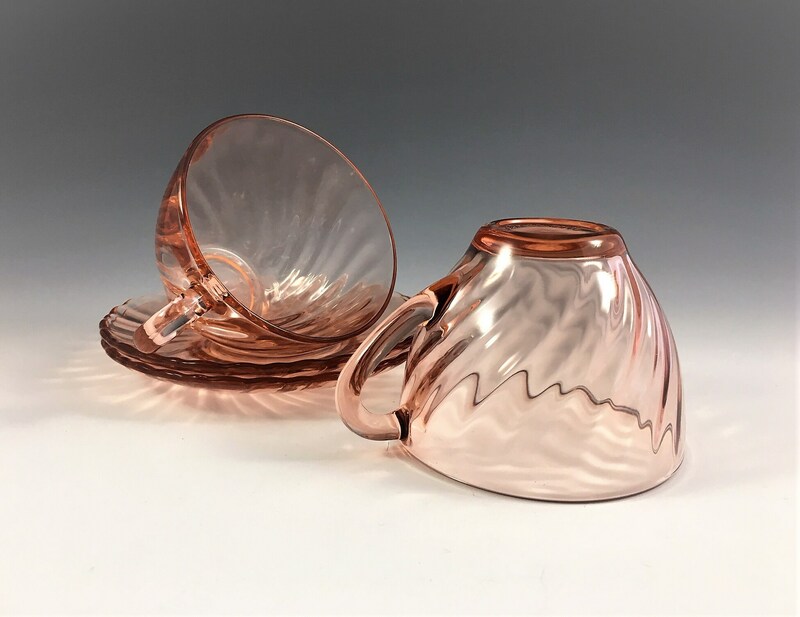 These cups measures about 2 1/2" tall, the saucer is about 5" wide. The cup holds 6 ounces, all are in excellent condition, free from any chips or cracks. This set includes two cups and two saucers.